Every time I try to explain tabletop roleplaying games to people who have never seen it in action, I get the same response. To be fair, even when explained, it has to be seen to be fully grasped. My biggest suggestion to friends who aren't sure if they would like it is this; play the game. Once that's over, they'll have a pretty good idea of how it works and if it's for them. 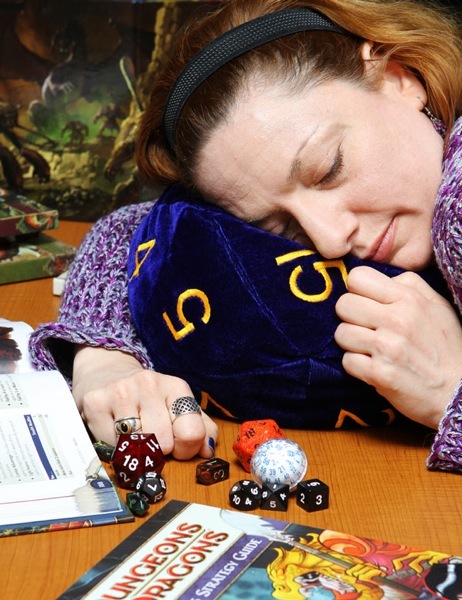 But why should you even consider roleplaying games? MMORPGs are doing a pretty good job at holding people's attention and World of Warcraft brought people who would never admit to being a dwarf into its world. But pen and paper games are different and, in this writers opinion, more rewarding. For the doubters, this article is for you. If by the end you're still not interested in trying out a tabletop roleplaying game, I acknowledge your personal yet strange decision. My hope is that you'll leave this article with a burning desire to start your own game! 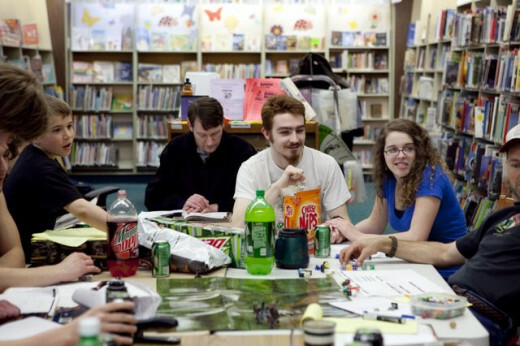 Plain and simple, it's hard to play a game like Dungeons and Dragons alone. I'm sure it can be done, but I don't see why anyone would want to do that. Roleplaying is a group experience. You can get away with two people, one to run the game and the other to play, but once the group gets to three or more, the fun begins. For new players, the fact that you're with friends should be a big help, since you might be unsure or nervous about the whole experience. Every time I start a new game, I always feel insecure at the beginning, but get into the game quick when my friends are around. 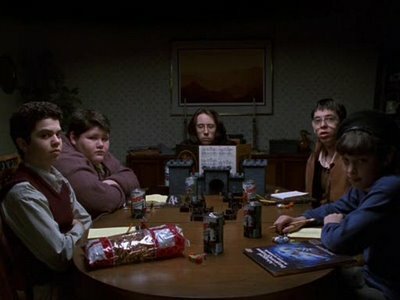 I've been in big groups, but my favorite games have always been the teams of three to five players and one game master. Back when I was a teenager, it was great hanging out with my friends, playing the game and joking back and forth. In and out of the game, you form bonds and create in-jokes only you and your group will get. While online games offer you the chance to play with your friends, nothing beats having them in the same room with you. 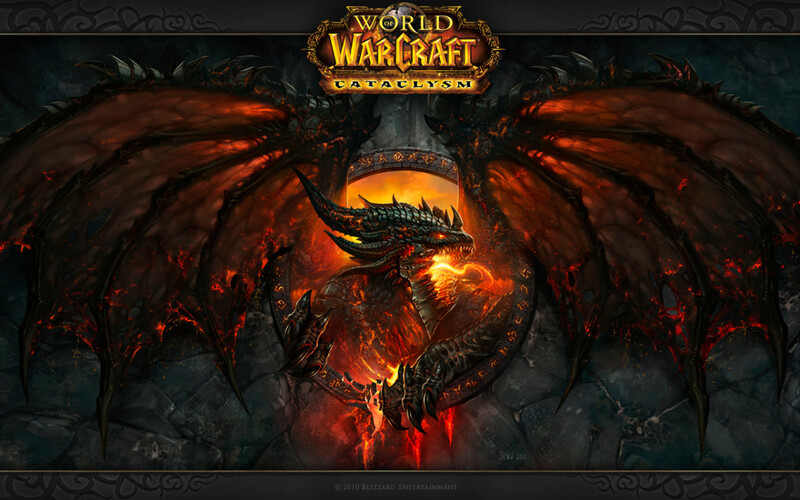 Back in 2006, I had a World of Warcraft account. I played for three months and got to level forty-two before I realized I needed to stop playing and rejoin the world. The thing is, the game was addicting. I wanted to level up and gain more abilities, find new armor and see more lands. But tabletop games are the good kind of addicting; they leave you wanting more. It's a regular problem, when your night's game is over, to want to play the very next day. You want more adventure, more battles, and more chances to improve your character. With a game like Savage Worlds, where you can advance every five experience points, it can be near impossible to want to stop. What happens is you begin to think about your past adventures and how much fun they were. You begin to want to call your friends and get them over as soon as possible for a game. You want to dive right back in and continue the fun. It's not a game where you level up just to level up, it's a game you play because it's a fun time! That's an addicting I can admit to! One book and we're good! Video games are expensive. 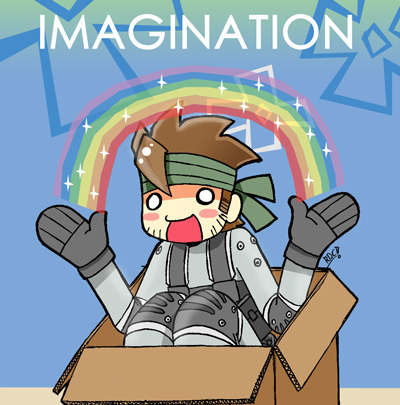 New games cost up to sixty dollars and used games are never that much better. Throw in a console price, online charges, downloadable content, and new controllers and you're talking about a small loan. Free-to-Play may be the way of the future, but I got one better. Roleplaying games like Dungeons and Dragons and Savage Worlds can be a cost effective alternative, especially on a budget. 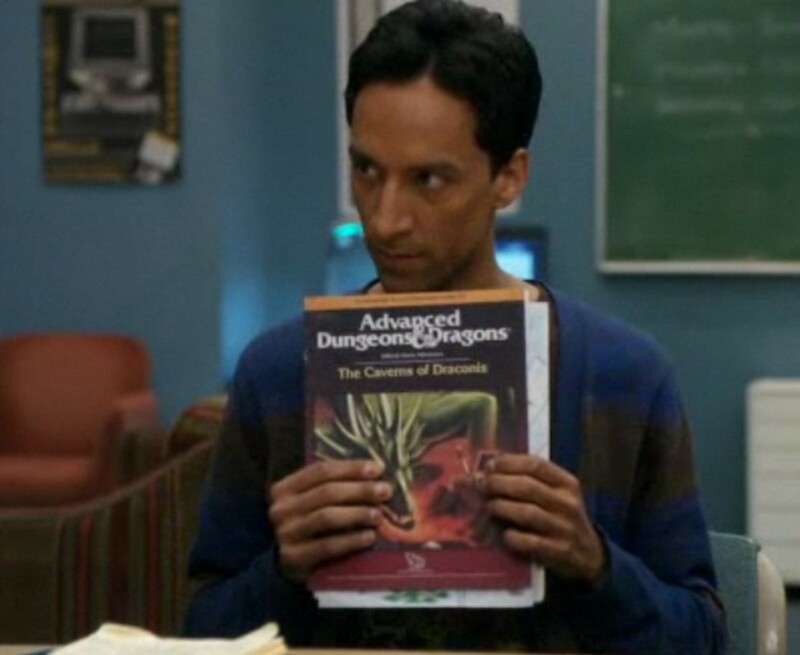 With D&D, you need two books, a player's guide and a dungeon master's guide. With those, you can run a game as long as you want and create as many different games as you can come up with. With Savage Worlds, all you need is the one core book and you're set for life. Once you have the books, which cost half as much or less than a new video game, all you need is dice and paper. Literally; paper. Considering notebooks go for less than a dollar, you're talking about one inexpensive alternative. 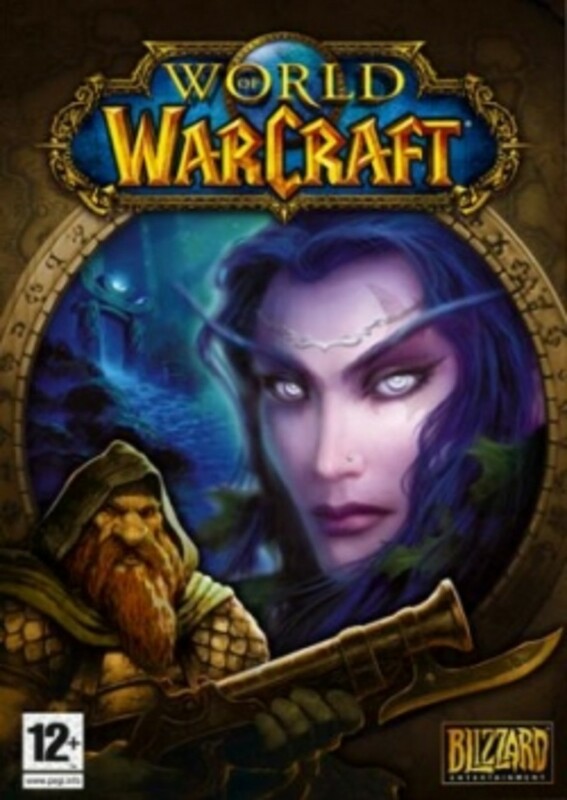 When I first played games like World of Warcraft and Grand Theft Auto: Which Ever Version Makes Me Seem Less Old, the big draw was how big the worlds were. You could spend hours playing the game and never find the world's wall. It's the big thing in video games, almost to a self-parody, but having a game that's open and full of side quests is the thing to do these days. 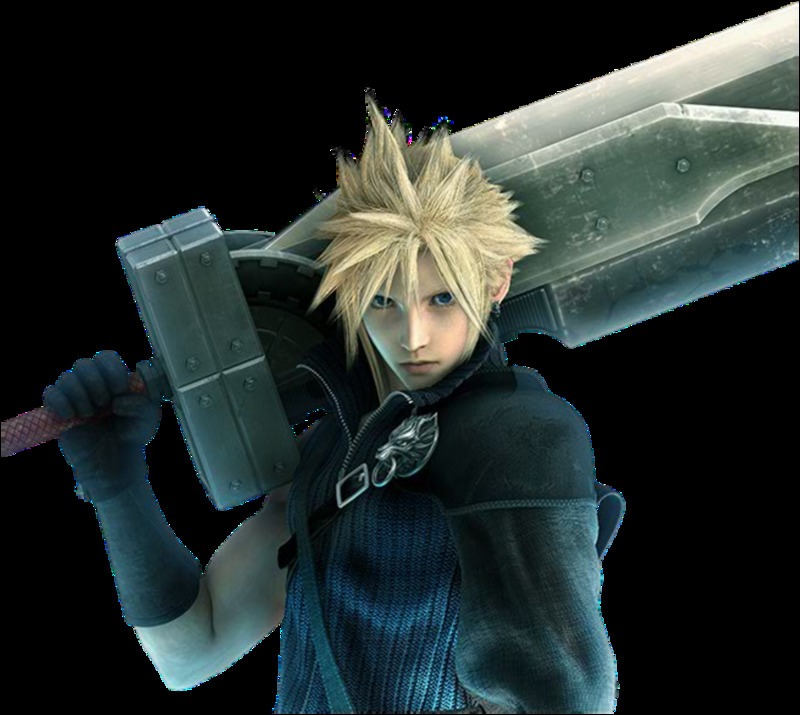 With roleplaying games, the sky is far from the limit. Between the players and the game master, you're looking at endless possibilities. From nonstop missions to endless dungeons, from characters that can become gods to worlds with no boundaries, you'll never run out of things to do. One of the first games I ran for friends who had never played was a dinosaur survival-horror game. I might have thought it would last and hour or two, but we became so absorbed in the whole experience that I kept coming up with new tasks and challenges, and we ended up playing until eight in the morning. It might seem cliché and a little after school special, but you're only limited by your imagination. It's strange how a gamer works. I've never actually been to Hyrule, but I have vivid memories of my time in that land. I've never actually traveled to Liberty City or Shadow Moses, but I swear I have memories to prove otherwise. Games that are absorbing become memorable, with you looking back on great moments and moving landscapes. 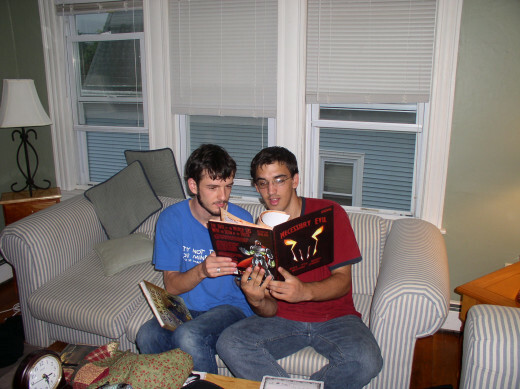 Tabletop gaming is a breeding ground for new stories and memories. 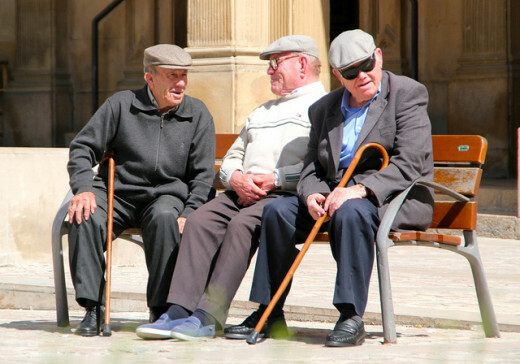 Get a gaming group together after a few years and ask them to tell you their favorite moments and you'll be listening for hours. Because of the limitless possibilities and the ability to surprise everyone with a simple act of chaos, a simple walk to a tavern can become you and your friend's new favorite tale. I like to reminisce about my first character's insanity driven death or my friend's stupid decision to leave the car during a velociraptor attack. Even in your first game, you'll be leaving with new jokes between you and your friends. Now, Find Your Own Reason! There are plenty of other reason to play, but you'll find your own within your first game. I love dice and growing my collection of all the different types, but others could care less and would prefer to borrow their friends. Some gamers love the atmosphere of gaming night, seeing it as an excuse for Doritos and Mountain Dew. Whatever your reason, it's bound to be a good one since roleplaying is some of the most fun you'll have with a group of buddies. Hopefully, if you were on the line before this article, you're now excited and ready to start a game! If so, check out my articles on picking a roleplaying game and choosing your setting. Either way, let me know in the comments and enjoy your game! I feel like I was cheated out of an education now! As a teacher a few years back, I used a scaled down version of D&D2E to explore the middle ages settings with my 5th graders. We all had great fun. But sshhhh- don't tell their parents that games can help kids learn! Yeah, the cheap part might not be a 100% on the money, but I do think it's a value over time thing. Also, when you can inherit them, problem solved! Naah, You don't need to pay for all that. Con your DM-wannabe friend into paying that cost. When he fails to be a competent DM, you can get those books from him for 1/2 price. I agree with just about every argument you make in favor of RPGs. Yes, they are just about the most fun you can have with your clothes on. Yes, they are a great way to interact with others, and yes, there are no limits on what you can imagine. But I wouldn't say they were actually "cheap." Sure, you need only three books to get started, but for the fifth edition of AD&D (coming out this fall), those three books will set you back $150. Now, admittedly, you'd spend that much playing WoW for 10 months, and these books may serve you for 10 years--but it's an up-front cost. With an MMORPG (which isn't really role-playing at all), you can pay for one month and see if you like it. With tabletop games, you have to pay for the whole system up front--and on top of that, there will always be an endless stream of additional books, game modules, maps, dice, cool paraphernalia...of course, you don't *need* anything beyond the basic system (assuming you have the time to write your own adventures), but it's all so tempting! So I wouldn't call this an inexpensive hobby. Worth the money, sure. But not "cheap," unless you're playing with a system you made up yourself. That whole camp experience sounds awesome! You did those kids a favor, way to go! I wish I had been introduced to roleplaying games sooner and camp would have been great to do it! Thanks for reading! I was recently a councilor for a high school summer camp, and I had the opportunity to introduce tabletop RPGs to a wide variety of people (both students and other councilors). Mostly the response was "I've never played this kind of game before." Once I had a game going, people gathered around the table and enjoyed the antics of our players. Shouts of laughter rang through the forest that night. By the end of the first session (ended due to a certain lights out schedule), everyone who watched was asking if they could play. "You're really just making this up? This is amazing!" Every part of your article is spot-on, though perhaps not as all-encompassing for every individual; some people are uncomfortable playing games without boards or tokens, at least at first. Some people have grown up too fast and can never go back to Neverland (as it were). Anyway, voted up, useful and interesting! I've had a hard time finding a group too! You really need your childhood friends to get it happening on a regular basis! I have a copy of Vampire: The Masquerade but I've never played it. I'm hoping to give a try in the future. Thanks for reading! Great Article. I used to play all the way through college. Vampire of the Masquerade and D&D were my favorites. Sadly, after college I could never find a big enough group to meet on a regular basis. Still enjoy reading up on it though. I'm glad you liked it! Thanks for reading and commenting! I like that you guys pulled a game together despite not having the rules, that's awesome! Voted UP and Interesting!!! When I was younger, my friends and I used to play Dungeons and Dragons, none of us had the actual game at the time but we did read about the rules...we used to create maps of our neighborhood. Definitely fun!! Thanks for sharing!! Thanks for reading! I was tempted to call the "addicting" factor simply "fun" but I wanted to get into how much the game can grab you! I've never played Mechwarrior but one of the first games I played was 2nd Edition! While the idea of being addicted to gaming is a bit unnerving when stated in those words, I find that I am in that very position. 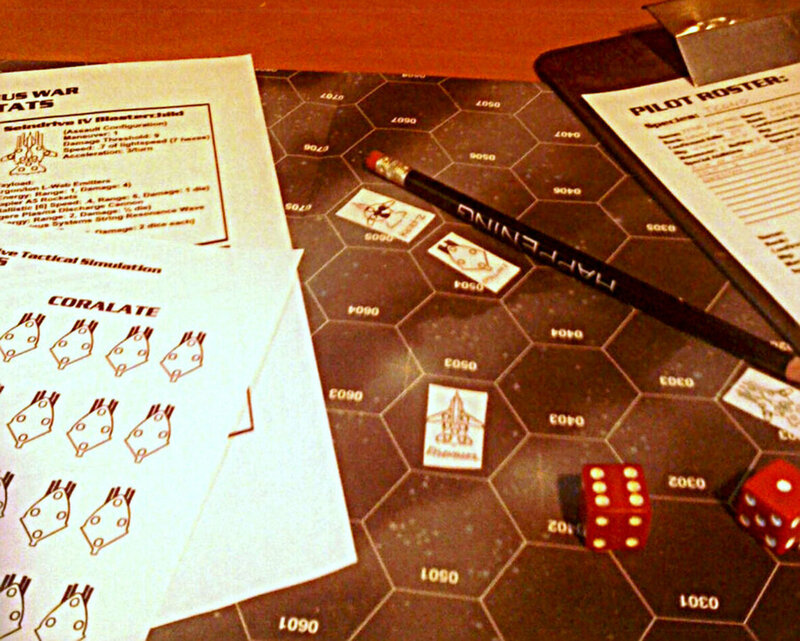 I've been gaming since Battletech/Mechwarrior in '89. I've both played and run Battletech/Mechwarrior, Shadowrun, Earthdawn, Renegade Legion (all FASA), Star Wars (WestEnd Games) and D&D2E, as well as numerous online MMO's and a few CCGs. My alltime faves are Mechwarrior and 2nd Edition D&D. Your are absolutely correct that playing around a table with 'real' people is the way to go!